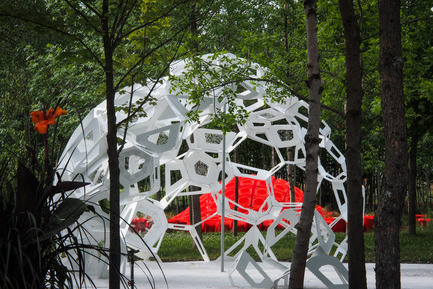 Imagined by sixty-five designers from Seoul, Santiago de Compostela, New York, Philadelphia, Basel, Amsterdam, Paris and Montreal, the 22 contemporary gardens of the 2014 edition offer an original way to discover the strong and fragile beauties of our environment. 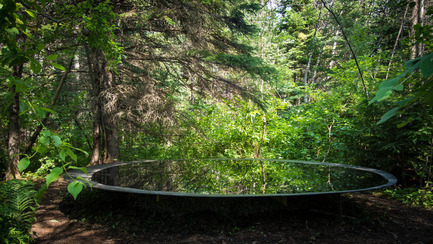 These installations invite visitors to enter and contemplate new ways of seeing the landscape and the world. 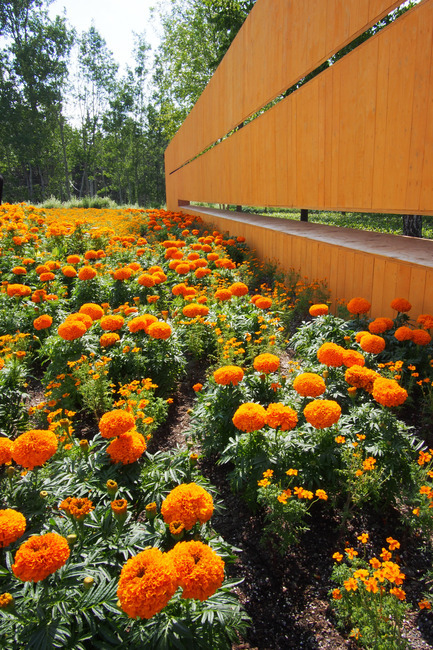 The Jardins de Métis / Reford Gardens and the International Garden Festival recently won the highest award for a Canadian garden, the Garden of the Year, at the 2014 Canadian Garden Tourism Awards. 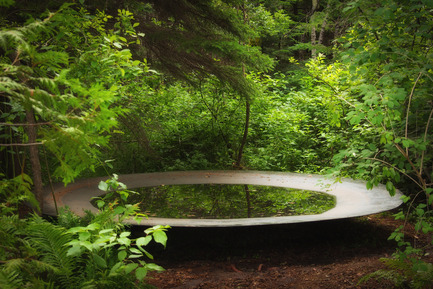 These awards are presented to organizations and individuals who have distinguished themselves in the development and promotion of the garden experience as a tourism attraction by the Canadian Council of the Garden. 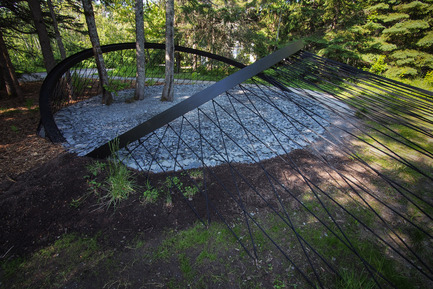 This is the first time that a Quebec garden has been awarded the main prize. The Reford Gardens are primarily the result of the work of a passionate Montrealer, Elsie Reford. She transformed her fishing camp in a horticultural paradise between 1926 and 1958. 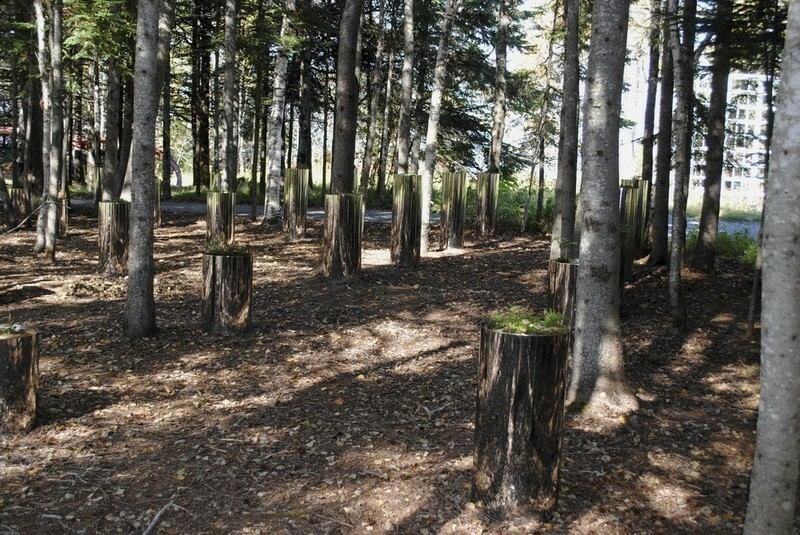 Carefully preserved by a nonprofit corporation, Les Amis des Jardins de Métis, they are now one of Canada’s premier garden destinations. 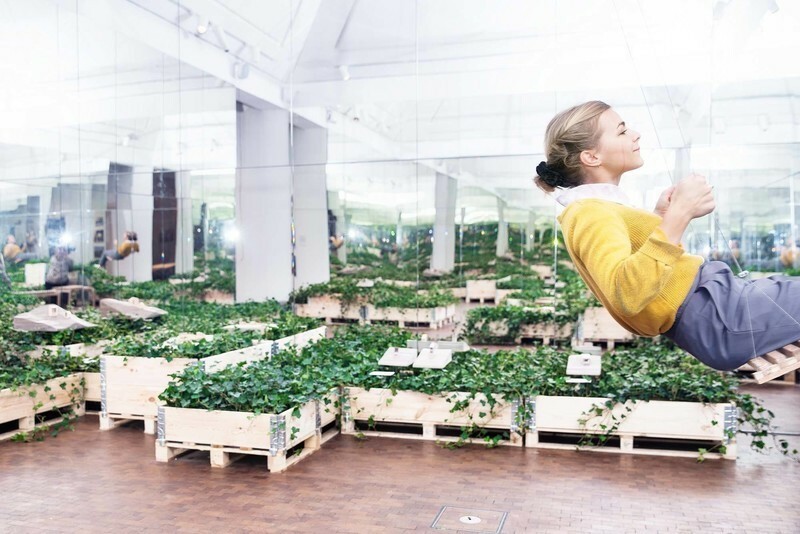 This international recognition has been gained in part through the annual presentation of the International Garden Festival, which celebrates its 15th anniversary this year. This garden festival, presented in an exceptional environment on the banks of the St. Lawrence River, is unique in Quebec and in North America. 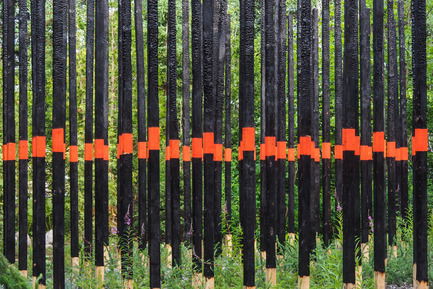 AFTERBURN by Civilian Projects [Nicko Elliott, Ksenia Kagner], Brooklyn, NY, United States. 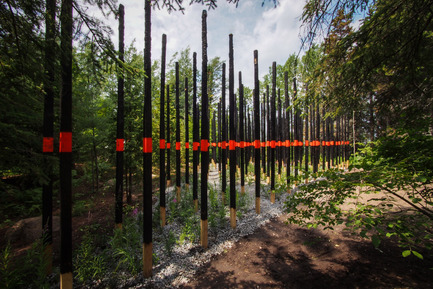 Afterburn is a garden that uses charred posts, ash-rich planting soil, river stone, coniferous saplings and pioneer herbaceous species to create an encounter with the aftermath of a fictitious forest fire in the boreal forest. 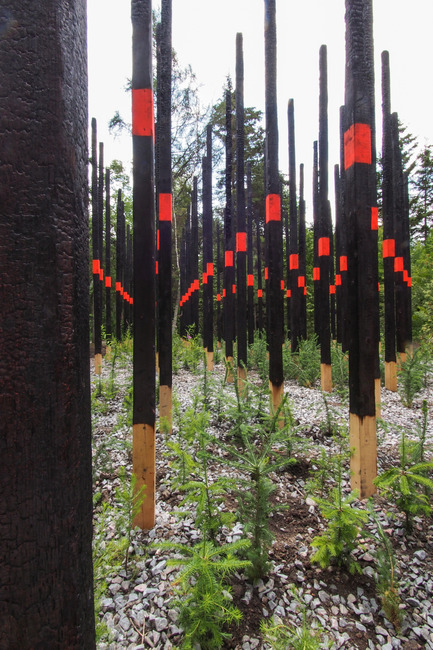 Fires are an intrinsic step in the life cycle of the forest eco­system, however unless they occur in menacing proximity to urban areas, we rarely have the opportunity to experience these terrains. While seemingly barren, a whole new forest in miniature gains nutrients from the charred remains of its predecessor. Wildflowers, grasses, sedges and saplings provide habitat to small rodents, song­birds and predators. 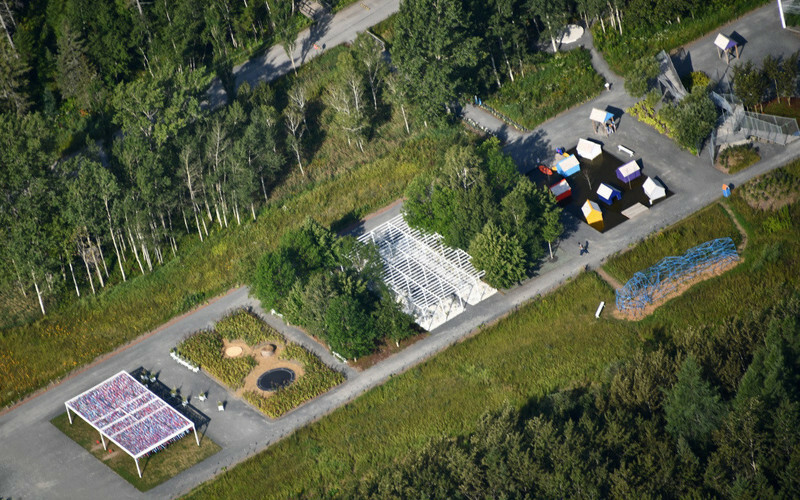 Civilian Projects is a Montréal-bred, Brooklyn-based art and architecture practice with an emphasis on the social potential of landscape and materiality. Through detail and construction, we seek to make legible the inter-dependency of anthropomorphic and environmental systems. By day, Ksenia Kagner is Project Architect at James Corner Field Operations. 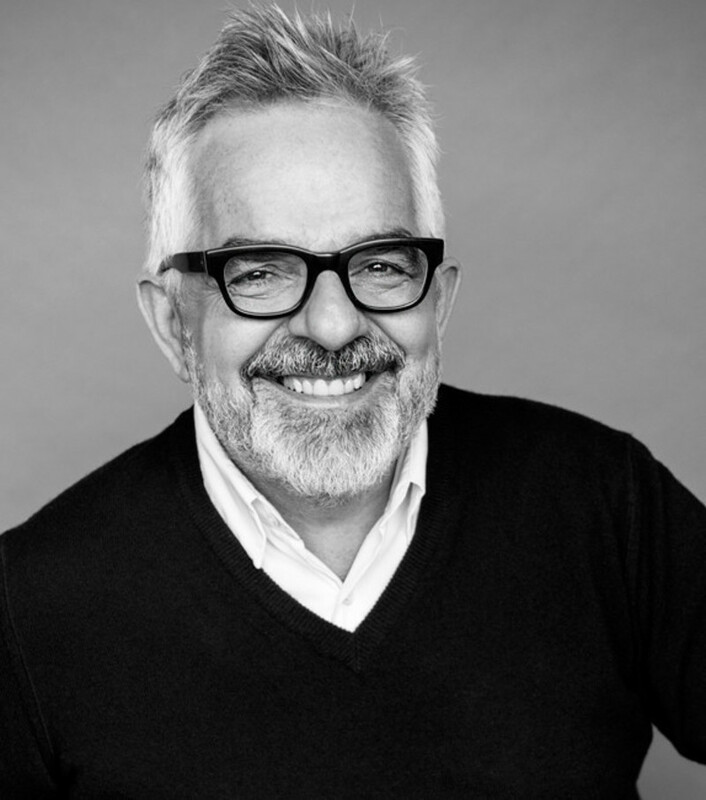 Nicko Elliott is Design Director for Macro Sea, a creative real-estate development agency. 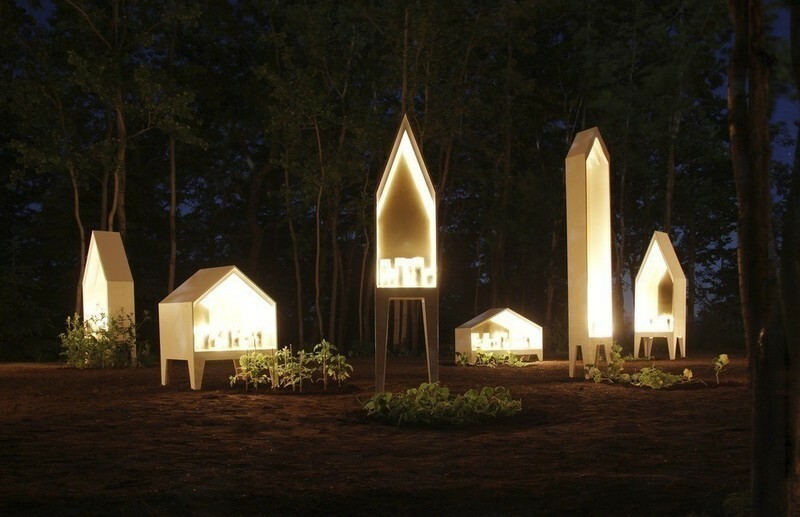 CONE GARDEN BOCKSILI by Livescape [Seungjong Yoo, Byoungjoon Kwon, Hyeryoung Cho, Yongchul Cho, Iltae Jeong , Soojung Yoon], Seoul, South Korea. 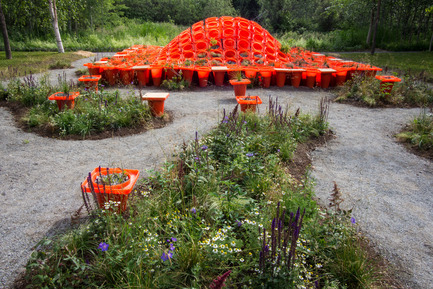 A pop-up garden made of cones that make sound. In response to the way you touch it, it makes a sound back to you! In the middle of this beautiful forest you will hear the sound of wind and ocean waves. These cones are the objects most often seen on a construction site. They arrive on a job site at the very beginning and stay there until the last moment of a project. It is an iconic object that has come to symbolize our desire to control our environment. Layed out in a smooth mound, here they are at the start of the process of reconciling with mother nature. 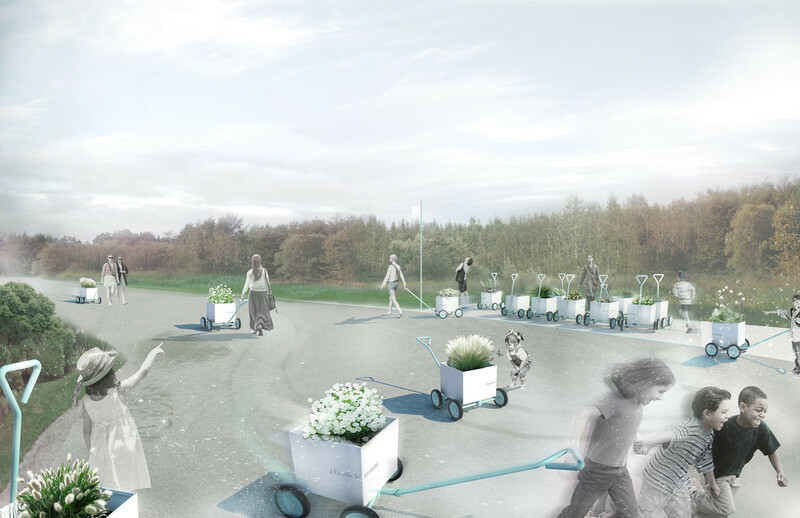 For this team, landscape architecture is not only making good scenery like planting trees, paving roads and so on. 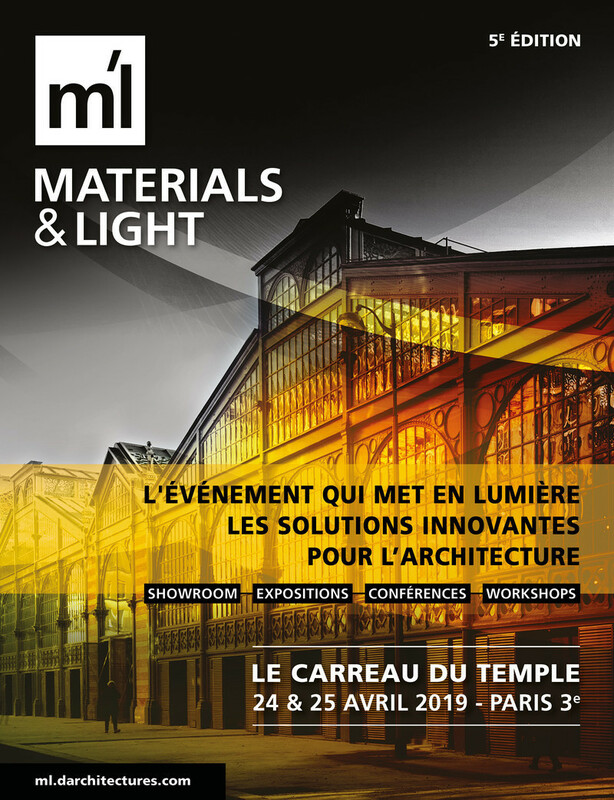 They think that all live things, for example, wind, sound and temperature, can be material for making creative environments. 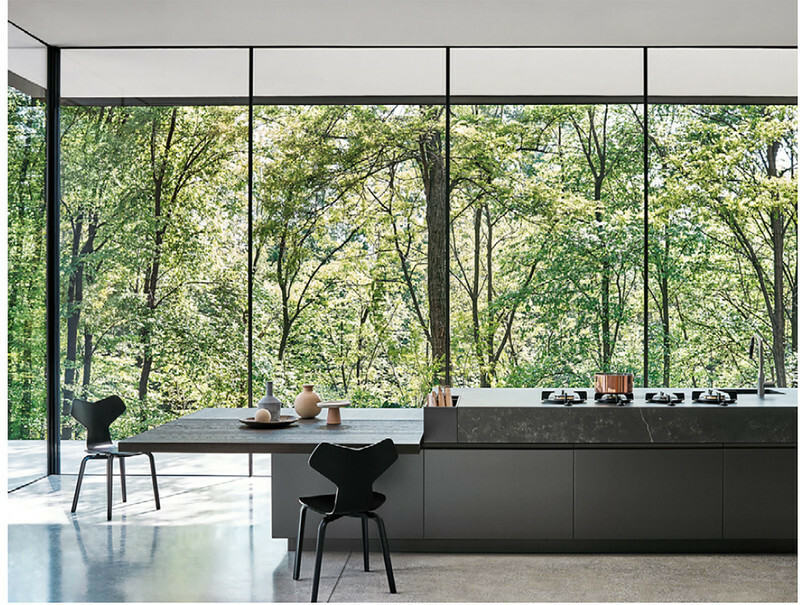 Livescape tries to make the creative, sustainable, narrative space as a functional and aesthetic value using live and raw materials. 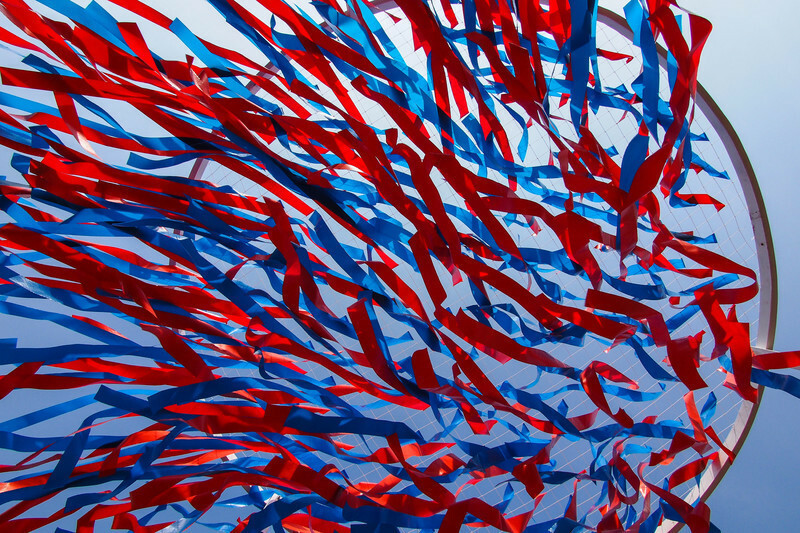 We have developed ideas of diverse scales and try to find a right moment where economic and sustainable values meets art. We design live things and living places. 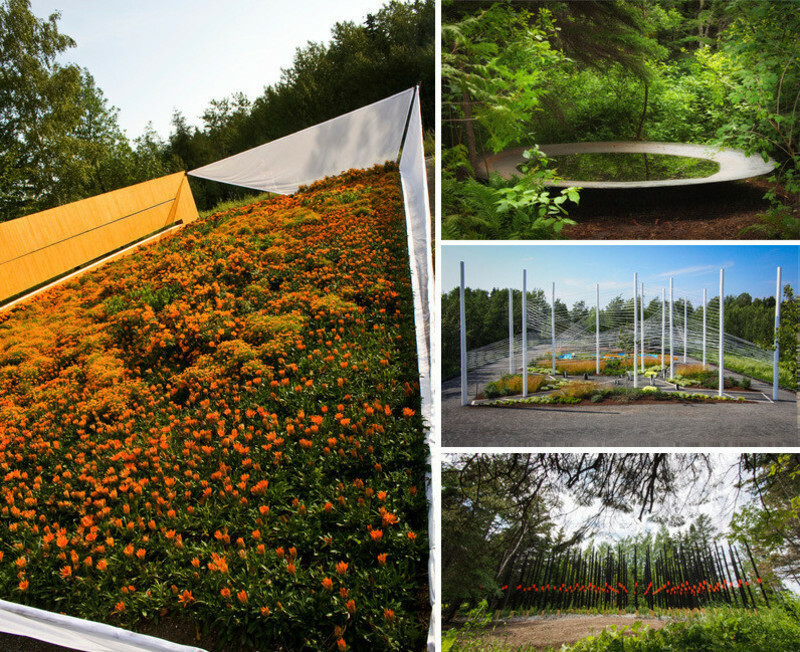 LINE GARDEN by Julia Jamrozik, Coryn Kempster, Brantford (Ontario) Canada & Basel, Switzerland. 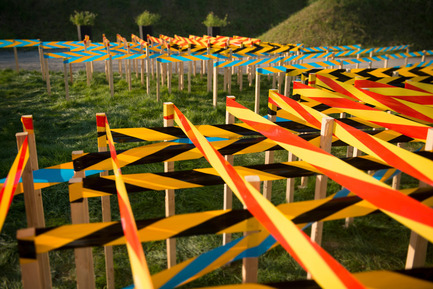 Drawing on the formal language of historical garden design, and the contemporary means of mass-produced safety and construction materials, the project is a strong graphic intervention that aims to produce an abstract field. 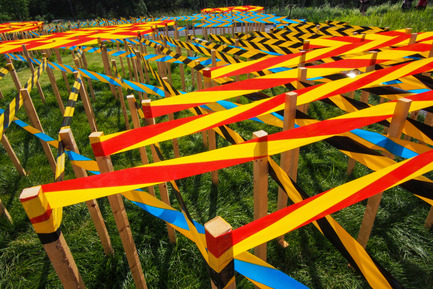 Defining a geometric zone out of tightly spaced parallel lines of stretched commercial barrier tape, the installation introduces ordered man-made elements into the cultivated natural environment. Through this juxtaposition a dialogue between the two spheres is created, based on the shared theme of protection and necessary safe-guarding, while questioning the definition of what is truly natural. 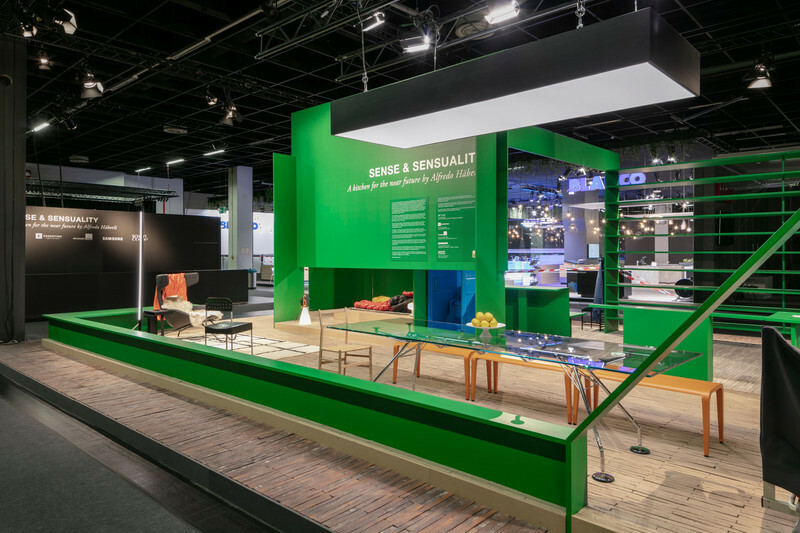 Through installations, drawings, video and architecture, the designers investigate everyday urban situations and re-present them to be experienced anew. 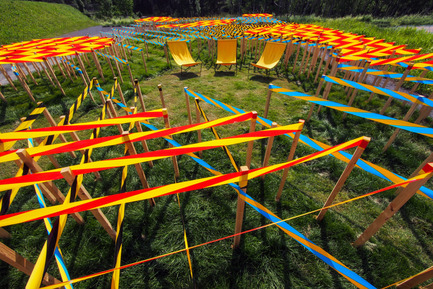 They are interested in the public realm and in the way that individuals and groups use space, both inside and outside. They aim to imagine and realize artworks that focus on the specificity of place and context, while simultaneously questioning assumptions about them. Ultimately, they endeavour to create objects, spaces and situations that interrupt the ordinary in a critically engaging and playful way. Julia Jamrozik and Coryn Kempster have been collaborating together since 2003. 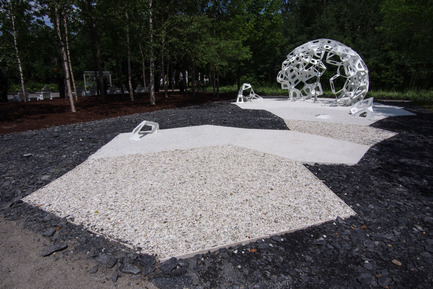 MÉRISTÈME by Châssi [Marie-Josée Gagnon, François Leblanc, Caroline Magar], Montréal (Québec) Canada. Méristème is a fragile microcosm that contributes to the conservation of Quebec’s native plant species. In the form of a docked and unfinished ship, Méristème invites visitors to discover Quebec’s plant heritage and calls us to greater awareness of our botanical heritage. Incorporated into its translucent walls, seeds are presented to visitors and together form an organic and organized structure resembling cell division in plants. The digital design of the structure, the result of a simple mathematical calculation, unveils a formal complexity similar to that of plants. 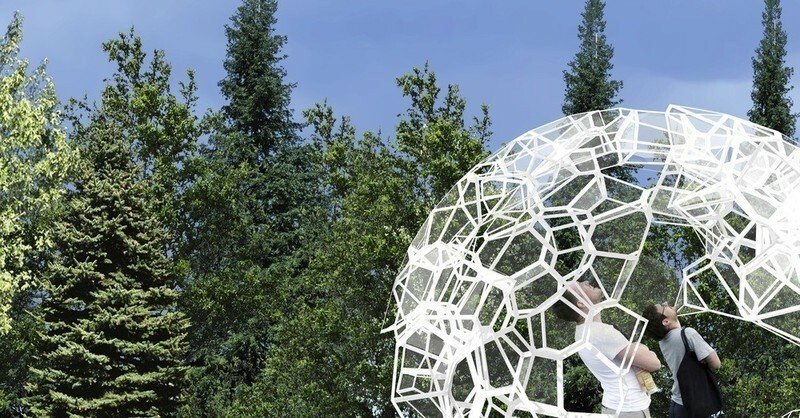 Thus prepared, all of these geometric modules form an immersive dome, a giant herbarium, a journey that pays homage to the beauty of our flora. 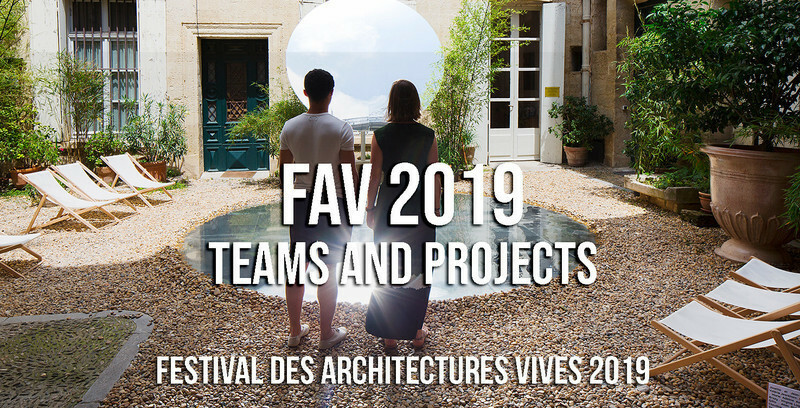 The collective CHÂSSI is a variable geometry group formed by young professionals in the field of architecture, landscape architecture, urban planning and design. 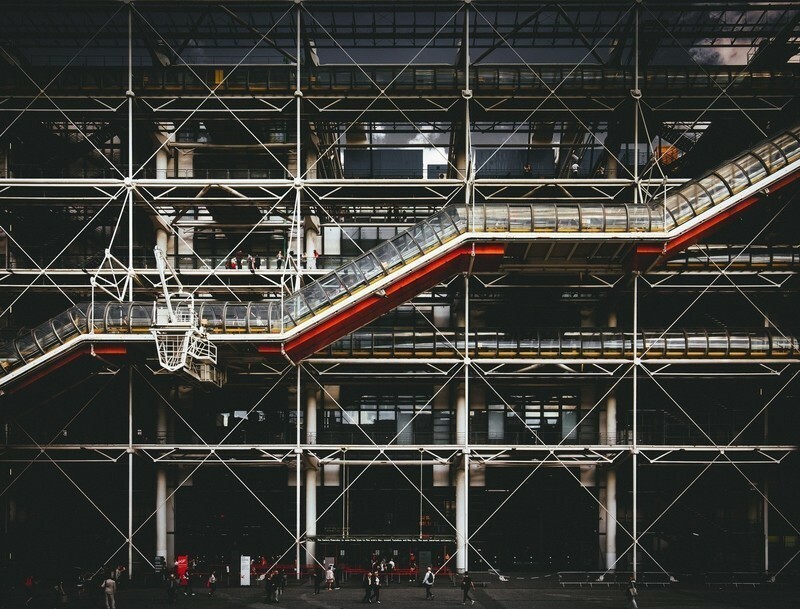 Members collaborate in the creation of ephemeral installations that seek to highlight architecture, to promote ownership of public spaces in a fun way and to the promotion of art, culture and design. 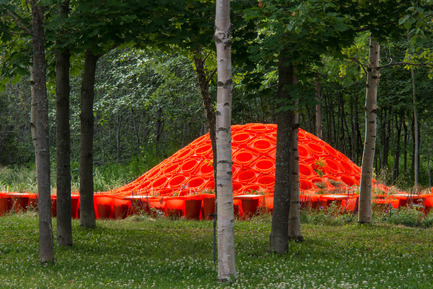 SECRET ORANGE by Nomad Studio [William E. Roberts, Laura Santin], New York, United States. 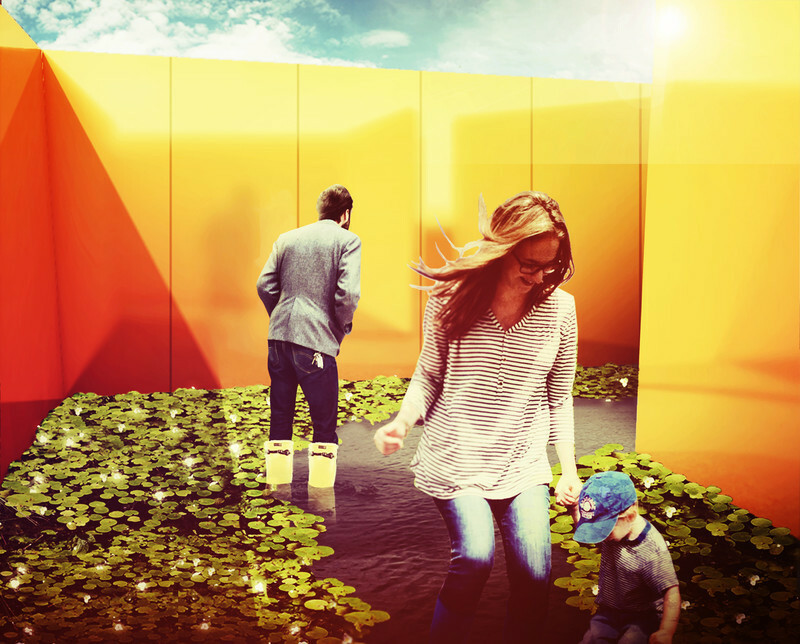 Secret Orange plays with the perception and the way we respond around enclosed areas. 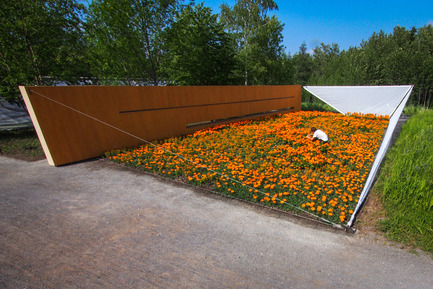 It explores the orange dimension of the garden by isolating this visual characteristic from numerous stimuli that complete the perception through our senses. The secret aspect of the garden urges on visitors’ curiosity to unveil the promising views of orange from different perspectives. Light and point of view collaborate with the different shades of orange to unseal infinite experiences tighten up to the exoticism still associated with the color in the collective subconscious. 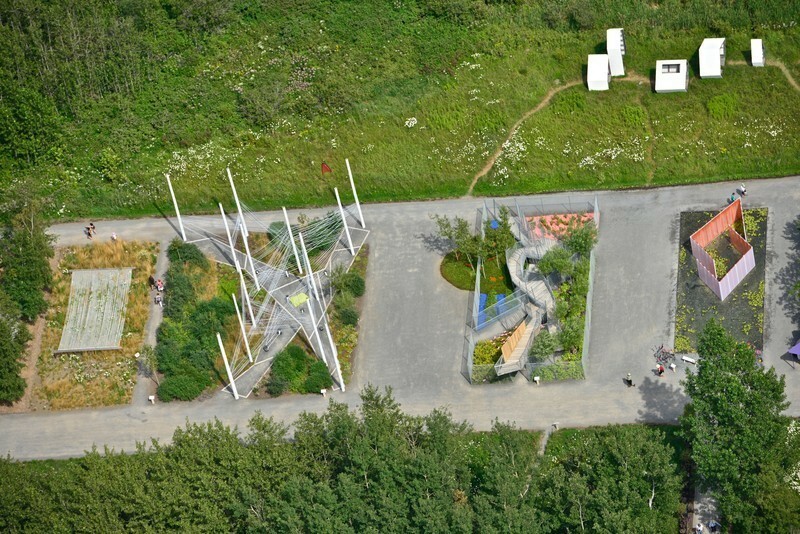 Nomad Studio coordinates an international network working together in landscape architecture. We tailor each project with a team specifically designed for it. This allows us the ability to maintain the flexibility, motivation and diversity to face each project. This office is committed to social and environmental responsibility; economic feasibility is the basis of each project they lead. 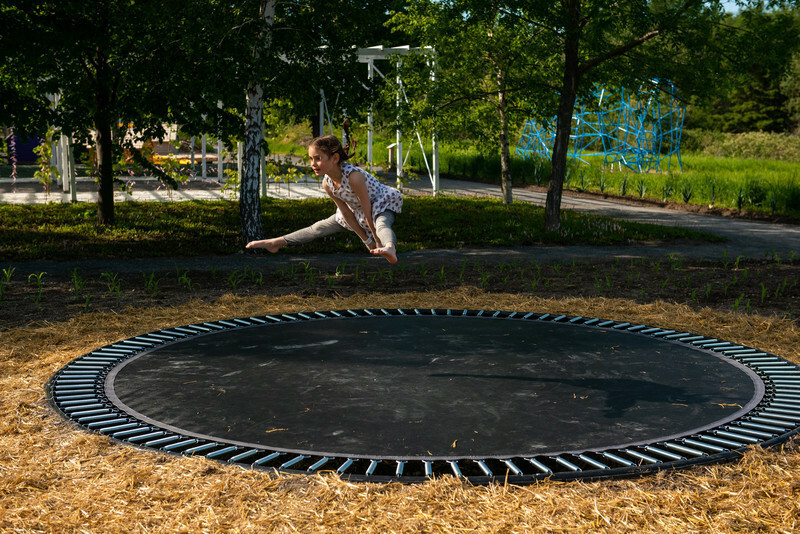 For this project, they have added joy to the mix: to have fun while designing and to transmit that energy to the visitors. ROTUNDA by CITYLABORATORY [Aurora Armental Ruiz, Stefano Ciurlo Walker], Santiago de Compostela, Spain. 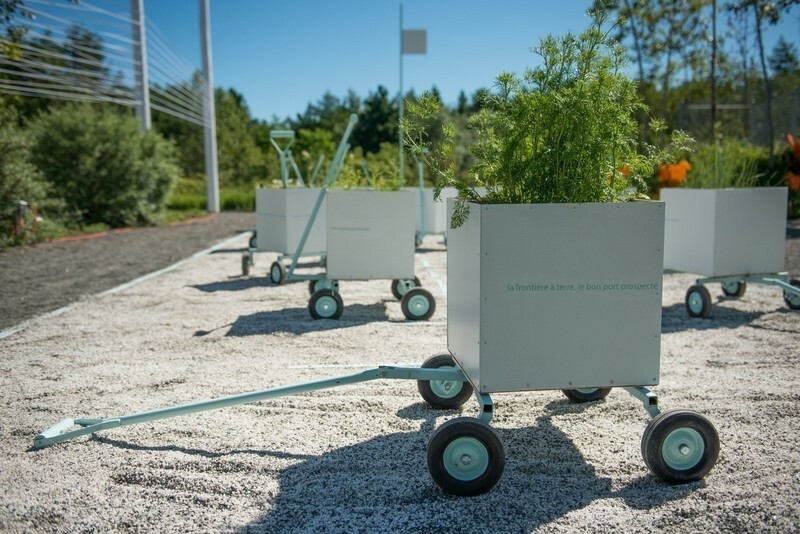 The garden is conceived as a device capturing the beauty of nature whose intention is to transform the landscape into the garden itself by capturing what is outside its boundaries. With the intention of defining a central point in the landscape, the garden has an irregular circular form where nature revolves all around, an ancestral shape suggesting unity and completeness. The architectural object is conceived as a frame, a homogenous black painted object, assembled in a direct way, minimizing the expression of assembly joints. 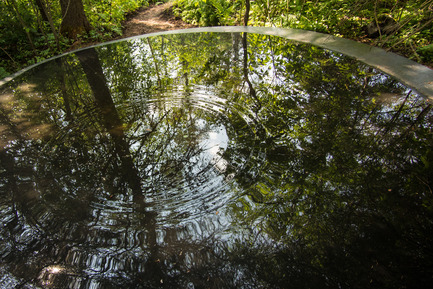 Water is used as a raw material, offering reflection both physically and metaphorically, bringing the sky to earth. The garden is to be left to evolve over time, becoming a climate register device. It will be sensible to changing light conditions, fluctuations in temperature and humidity, rainfall and evaporation. 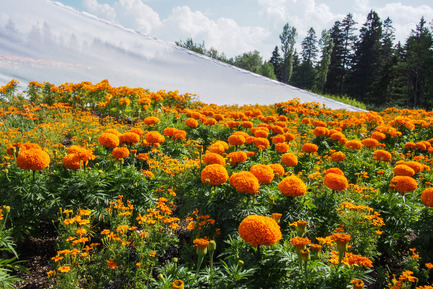 The garden will over time accumulate leaves, dust and pollen, be inhabited by birds and insects, leading to the cultivation and growth of new life within the garden. Citylaboratory is a collaborative architecture platform concerned with the exploration of methodologies and development of design projects for cities and territories of historic, cultural and natural value. It is an initiative that brings together professionals, academics and students from various backgrounds for the realization of projects, workshops, events and publications. 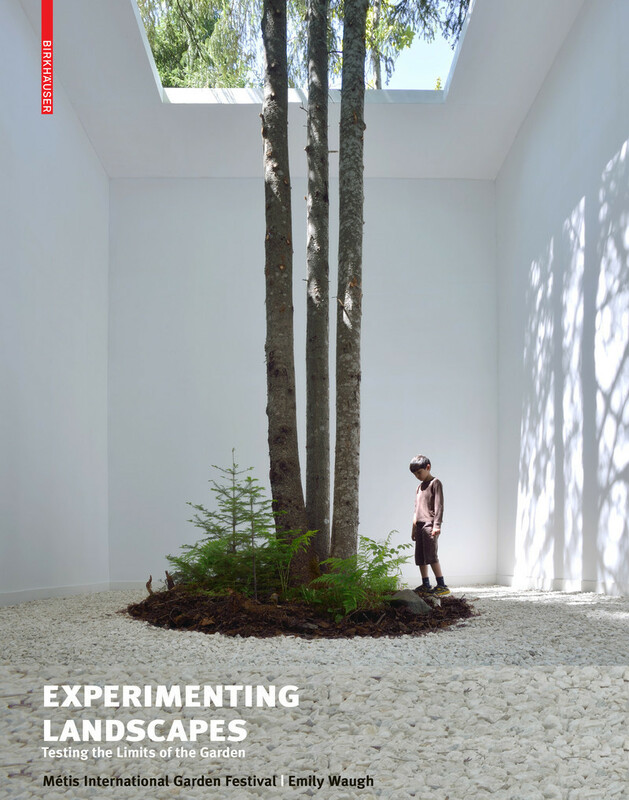 Their project Garden Collective Basilique Notre Dame was selected for Lausanne Jardins 2014, a similar event to the International Garden Festival that takes place in different parts of the city of Lausanne, Switzerland. 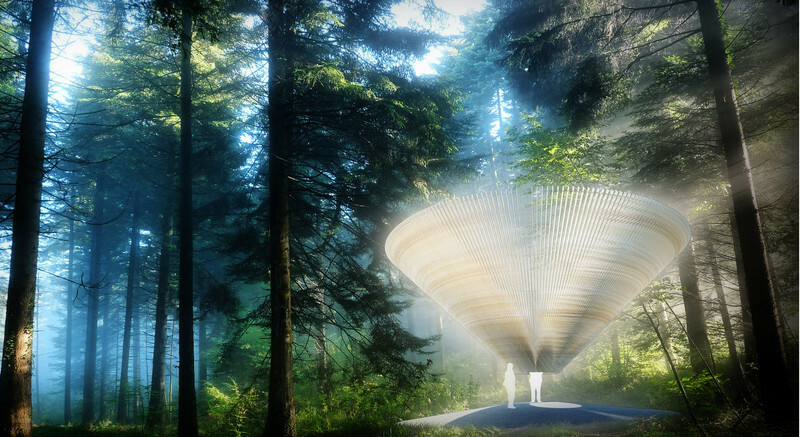 by Snøhetta [Claire Fellman, Nick Koster, Karli Molter, Misako Murata, Maura Rockcastle] & Knippers Helbig [Hauke Junjohann, Guillaume Evain], New York, United States & Oslo, Norway. In the often overlooked narrow threshold between boreal forest and open meadow, a particular set of species thrive between two contrasting environments. By encircling a moment within this ecotone, Edge Effect creates an opportunity to explore and enjoy this condition. 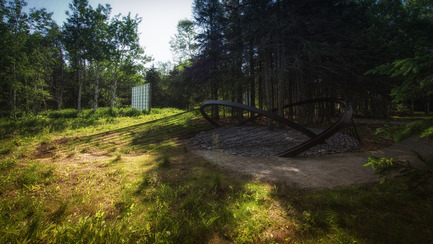 The garden is designed to heighten the simultaneous experience of both forest and meadow, where sun and shade mingle. 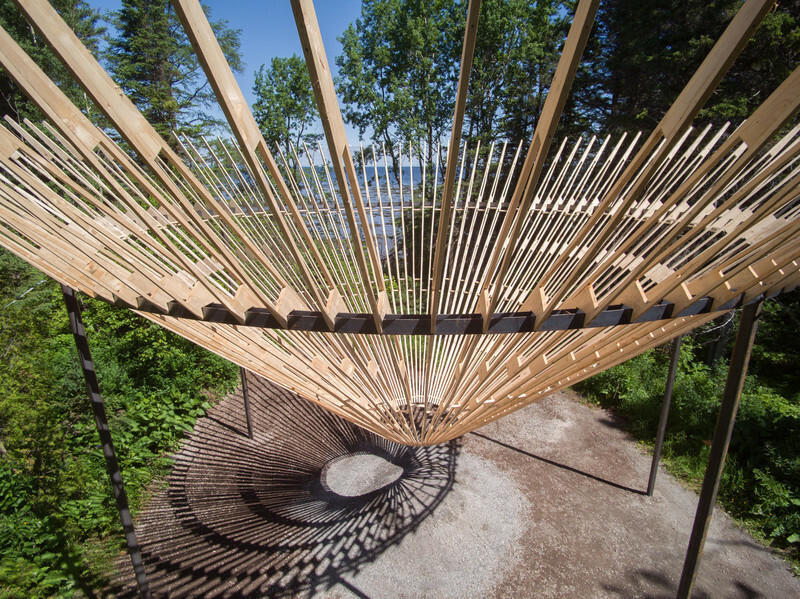 Designed to accommodate plants, animals and people, the steel structure supports a blanket of woven rope that gradually twist from horizontal in the field to vertical in the forest, creating a variety of unique spatial experiences for the user. For over 25 years, Snøhetta has designed some of the world's most notable public and cultural projects. Snøhetta began in 1989 with the competition-winning entry for the new library of Alexandria, Egypt. This was later followed by the commission for the Norwegian National Opera in Oslo and the National September 11 Memorial Museum Pavilion at the World Trade Center in New York City, and the Redesign of Times Square, among many others. Since its inception, the practice has maintained its original trans-disciplinary approach, integrating architectural, landscape and interior design in all of its projects. All of the office’s work strives to enhance our sense of place, identity and relationship to others and the physical spaces we inhabit, whether natural or human-made. Knippers Helbig’s team of structural and façade engineers, geometry and scripting specialists, architects and technicians collaborate closely with leading architects to help realize innovative projects. 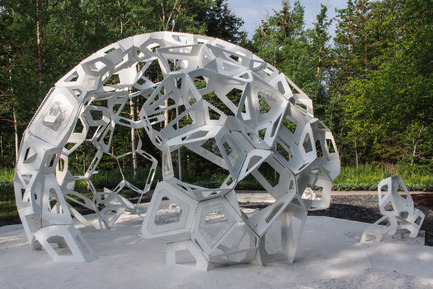 This work is grounded in a deep knowledge of materials, fabrication, and joining technologies. 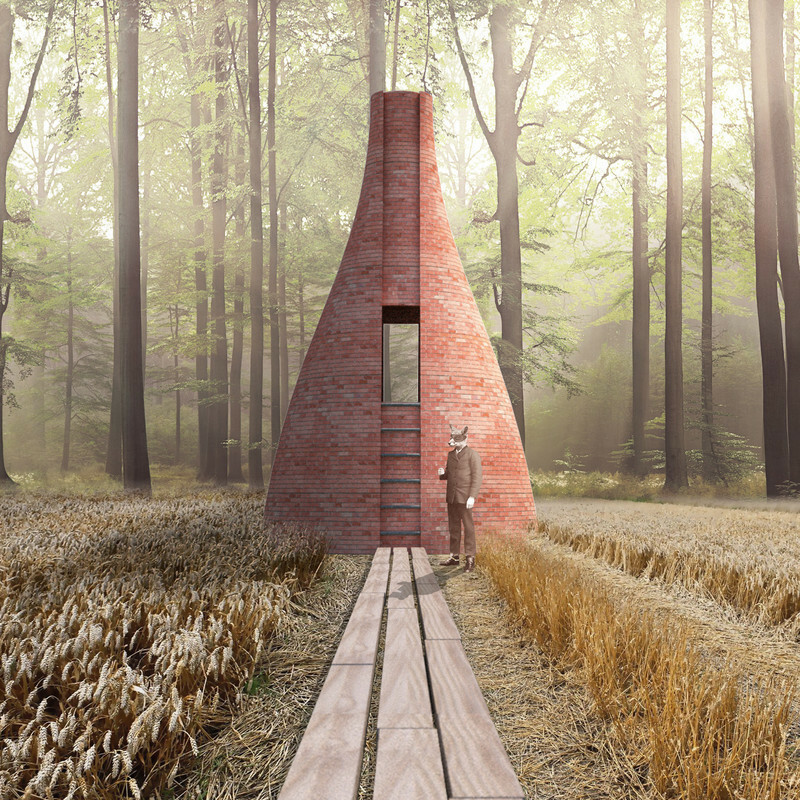 Knippers Helbig’s interdisciplinary approach helps redefine the boundary between architecture and engineering. 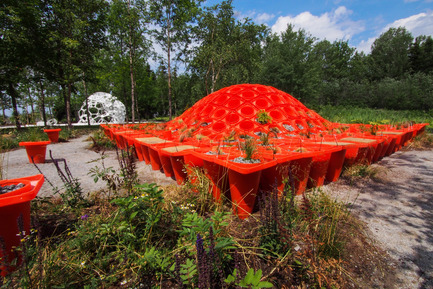 Unique forum for innovation and experimentation since 2000, the International Garden Festival is the leading venue for the exhibition of contemporary gardens in North America. 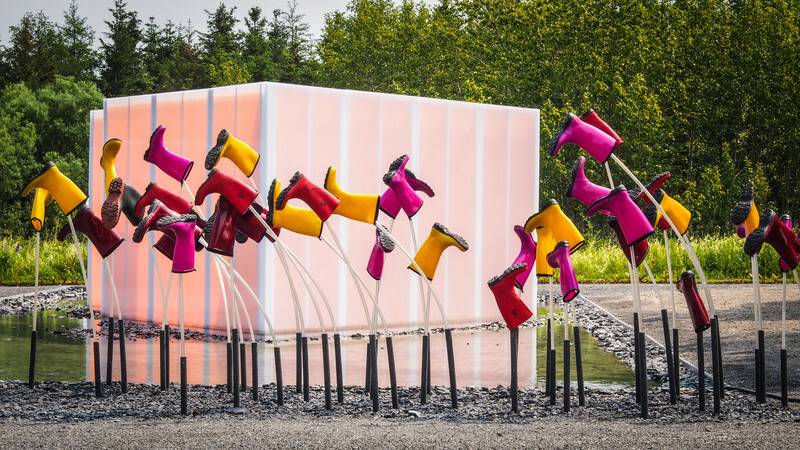 The Festival fosters interaction between the visual arts, architecture, landscape, design and nature and inspires visitors with the unique ephemeral installations that are exhibited every summer. 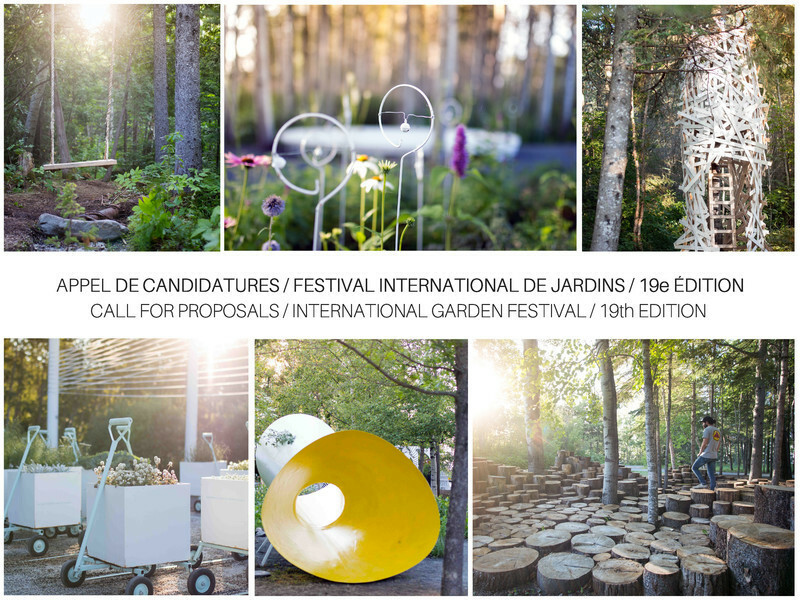 The International Garden Festival is presented with the financial assistance of: the Canada Council for the Arts, Canadian Heritage, Canada Summer Jobs, Conseil des arts et des lettres du Québec, Tourisme Québec, Conférence régionale des éluEs du Bas-Saint-Laurent, Emploi-Québec and Canada Blooms. 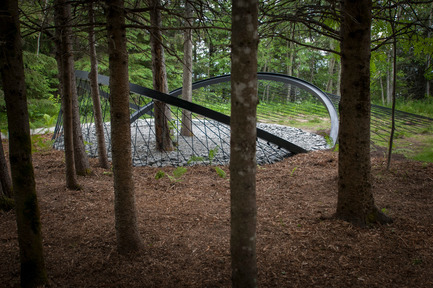 Reford Gardens / Jardins de Métis are located on the shores of the St. Lawrence and Mitis rivers at the gateway to the Gaspé Peninsula. A national historic site, the Reford Gardens are ranked as one of the great gardens of North America. Created by Elsie Reford over a period of 30 years, they are a living testimony to her passion for gardening and plants. Today, her great grandson, Alexander Reford, leads a team that maintains this unique horticultural and architectural heritage. 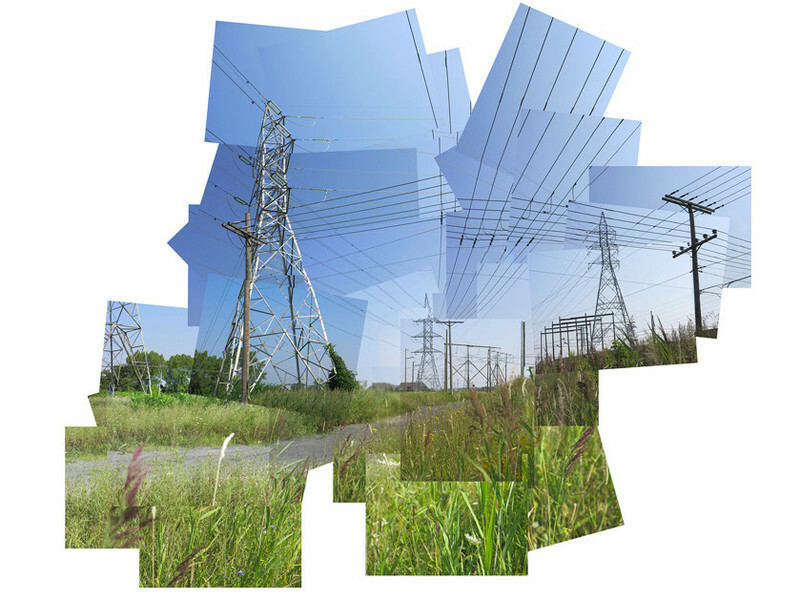 Canada Economic Development is the lead partner of the Landscape Laboratory initiative. Hydro-Québec has been the sponsor of the Gardens since 1999. 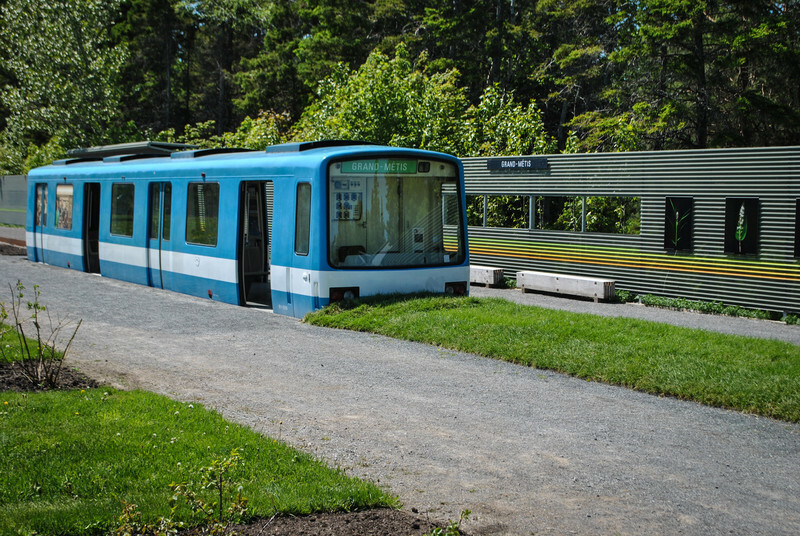 The Caisse Desjardins de Mont-Joli is a sponsor of the 52nd season of the Gardens. The Gardens are open every day until September 28. Children 13 and under are admitted free of charge. A macroscopic structural representation of plant cell systems reminds us of the significant role of plant biodiversity in ensuring the future of human society.